He has brought a whiff of fresh air to the art of oratory. He has altered the lexicon of rhetoric and eloquence by his sheer brilliance and fluency. Addressing everyone from schoolchildren to the houses of the US Congress, Narendra Modi has touched billions of hearts. 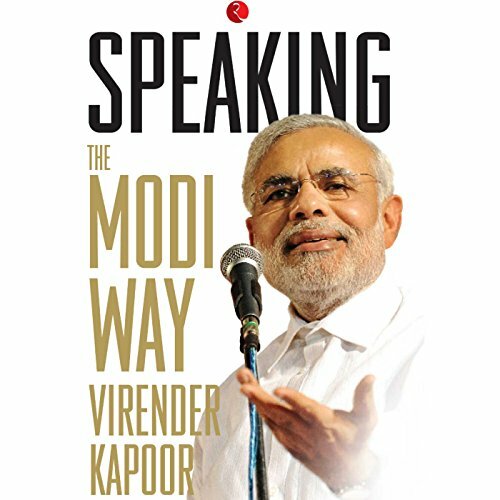 In this book, Virender Kapoor shows you how to speak, persuade and motivate like Narendra Modi. Starting with an analysis of his inspiring rise from humble origins to the post of prime minister, the author goes on to show how Modi always appears to speak from the heart; how he uses facts and figures to substantiate his arguments; how he makes optimum use of similes, metaphors and word puns; how he tailors his speeches according to his audience; and his unique ways of packaging and presenting ideas. Relatable and inspiring, this book will show you how to become not just a good speaker, but a great one, like Prime Minister Modi. ©2016 Virender Kapoor (P)2017 Audible, Inc.